with the Whimsical Wishes stamp set. 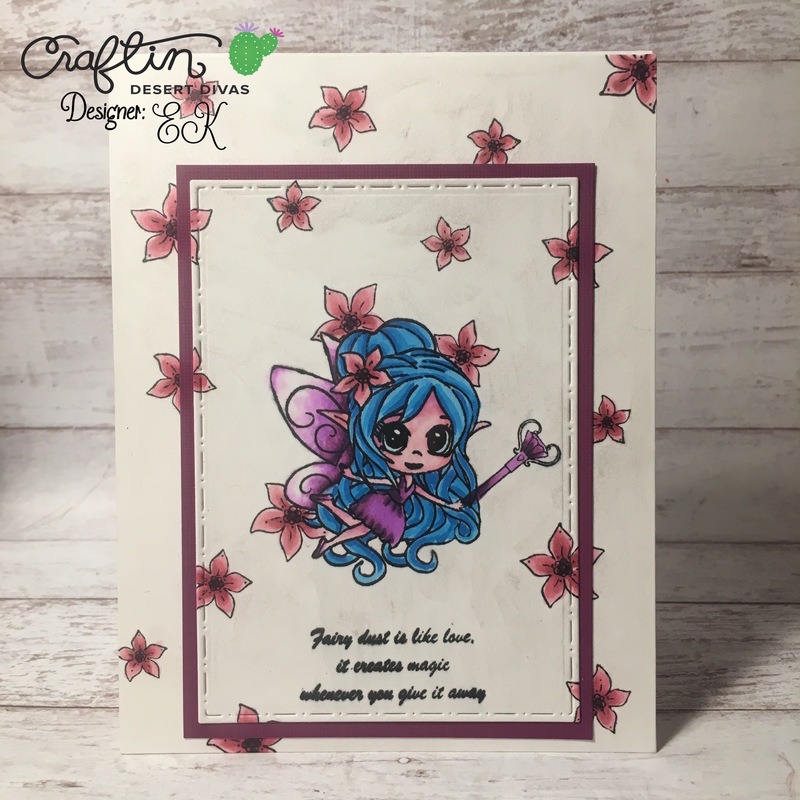 With the popularity of card challenges around the net, and so many of them being coloring challenges, I thought I would show off how to take a fun stamped scene and still apply it to a three color challenge. The colors I picked came from this month's Mood Board challenge over on the CDD Facebook Gallery. The three colors I picked were, current, bright blue, and purple. 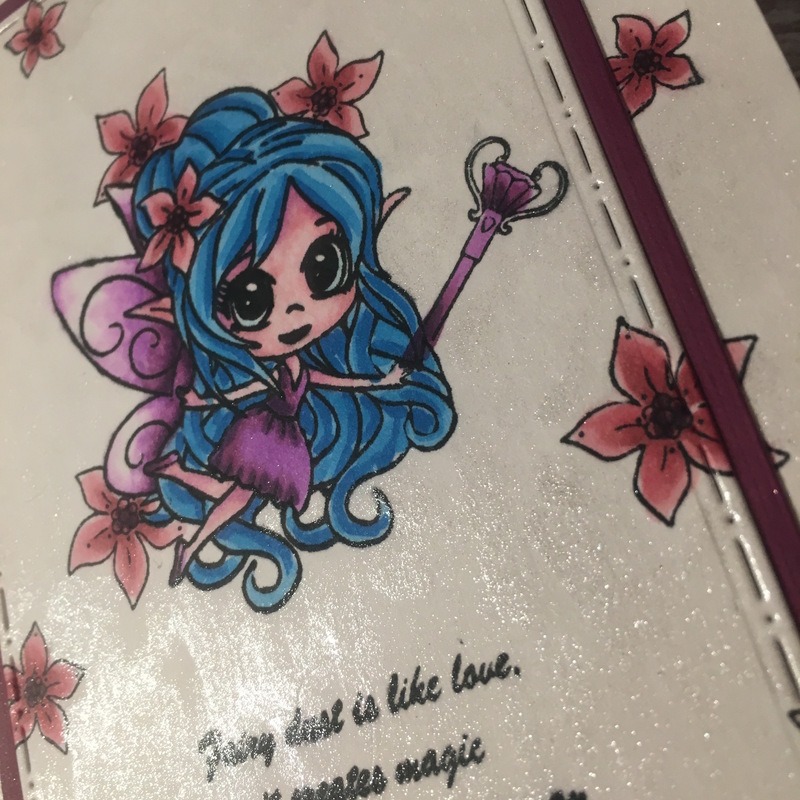 I started off stamping out the fairy and sentiment from theWhimsical Wishes stamp set using my MISTI. Then masking her off, and stamping three different sized flowers and the wand. I just love how masking can create such a beautiful scene. the three color challenge. For the current, I pulled R81, R83, R85, and R56. The bright blue was colored in with B02, B04, and B06. The purple was colored in with V04, V06, and V09. I also used colorless blender in a couple places (especially the wings) to help create dimension. Normally, I cheat on these challenges and use a skin tone color as a neutral, but today, I used the R81, Vo4, R83 and colorless blender to create the Fairy's skin tone, because when you are a fairy, pink is a perfect tone for skin. The card needed tones of sparkle so the fairy dust could be everywhere, so I colored in the white space with spectrum noir glitter pen. I pulled out my Mix It Up dies and die cute a rectagle out of the card stock and matted it with some current card stock. I added the die cut matte image back onto the negative die cut. The card glitters so much!!! It is the perfect Fairy Dust.